Onions (Allium cepa) are healthy and simply delicious despite tear and bad breath making properties, which are reminding that you are in the presence of something special. This spicy pungent food can vary in size, shape and color. Onions a very good source of vitamin C, B6, B1, K, biotin, chromium, flavonoids, calcium, quercitin and dietary fibrer. But we must be careful, because all those healing properties can be destroyed by heat. Onions are going to help you with: colon cancer, prostate cancer, stomach cancer, depression, regulation of blood sugar, inflammations, infections, osteoporosis, atherosclerosis, bad cholesterol, menstrual disorders, toothaches, high blood pressure, earache, sexual drive, anemia and cardiovascular diseases. You can clean your grill grates without dealing with harsh chemicals and wire brushes by rubbing a hot grill with half a cut onion on the end of a fork, because onion is known to be a powerful natural antiseptic. By the time you feel that first sting in your eyes, it’s already too late and you are crying like a baby, but don’t stop including them in your meals because it is possible to cut or chop onions with no tears at all. Onion breath is harmless to your health but you can neutralize it naturally before offends those around us. A healthy diet and lifestyle are keys to blood sugar spike prevention and management. Onions contain chromium, an essential mineral. Inadequate intake of chromium impairs the body’s ability to use glucose and leads to condition seen in type 2 diabetes. Adequate dietary chromium intake aids in the normal function of insulin and helps you to gain better control of your blood sugar levels. There is no guaranteed method of colon cancer prevention, but some studies suggest that foods we eat are playing a large role in our risk for developing colon cancer. The good news is that there are some foods you eat to mitigate your risk of developing colon cancer. People with the highest consumption dark red onions, known as the richest source of dietary flavonoids, have a lower risk of developing colon cancer. If you are suffering from a cold caused by depressed immune system or nutrient deficiencies, there are some remedies that might help ease, and one of them is onion. Onions have anti-inflammatory and antioxidant chemicals that have been proven to be beneficial for many health problems, including common cold and upper respiratory infections. You need a jar with the lid and onions of similar size. Cut the onions into slices and arrange it into jar, covering each slice with crystal sugar. Leave it overnight. Let the sugar pulls juice from onion and melt in it. 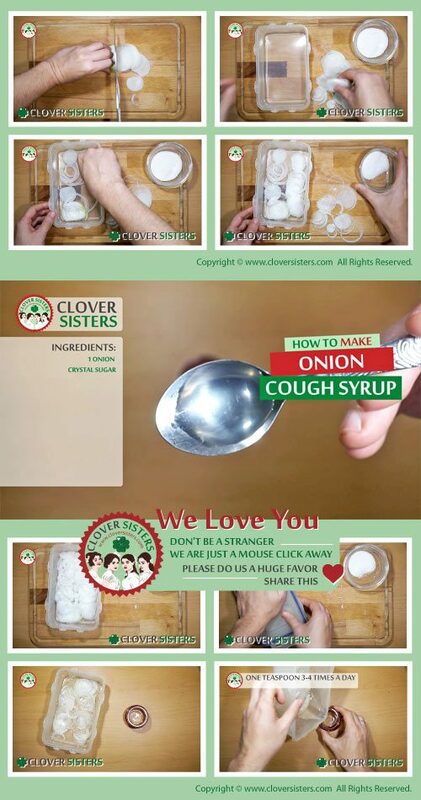 Then just use the syrup normally, one teaspoon 3-4 times a day.